When we presented our Facebook seminar to a packed room at the Escapade RV Rally this week, we got the most applause for teaching how to block Apps, so we thought it would be a good topic for a newsletter aticle! If you’ve used Facebook for any length of time, you’ve probably been annoyed by games and other apps that your friends may be playing. Many of my friends, for example, were playing Farmville. My Facebook home page was quickly overrun with invitations to play Farmville, and notices when a friend’s crop was doing well, or a pig needed some more corn?! I didn’t want to unfriend a person just because they were playing this game. Who am I to say what game they should or shouldn’t play? But, I really didn’t want all those notices on my News Feed. I found the X at the right side of one of these posts and saw the ability to Hide just posts related to the Farmville game. That worked fine, but the folks at Facebook have made it even better. Just this week, Facebook made a lot of changes to the way you manage your privacy settings. One thing is that they’ve given us the ability to completely block specified apps. Just like you can UNfriend a person, or UNlike a company, you can now Block an App. 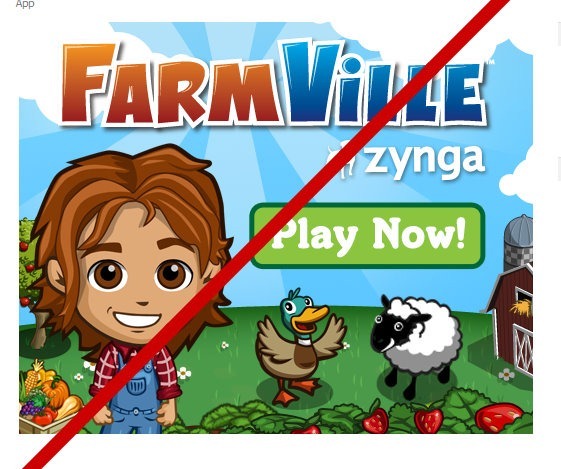 Farmville, and many other games are Apps. You’ll find the Block option in the same place on the App’s page as UNfriend on a personal profile, or UNlike on a business page – at the bottom of the left sidebar of the App in question. If you ever want to UNBlock an App, or you just want to see what Apps you have blocked so far, you can manage your Block lists on your Acccount. Just click on Account and then Privacy Settings. You’ll see Block Lists at the bottom. Published by MrsGeek, in Blog. Tagged with Block Facebook Apps, Facebook Privacy.